The dive sites on the Marsa Bareika are easily accessible and offer beautiful dives. They are all suitable for beginner divers. 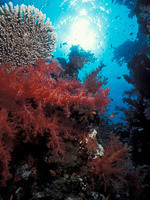 The underwater world offers the total spectrum of the Red Sea. Besides the fascinating micro world you can also watch big fish here. Even whale sharks were seen in the bay. Dolphins are frequent visitors here. 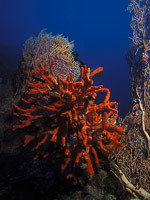 Particularly attractive are the single coral blocks in the range 15 to 20 m depth. 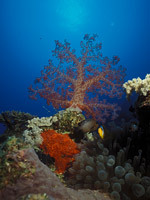 There is a diverse reef life. Steeply sloping and underwater canyons enrich the diving adventure in the Marsa Bareika.